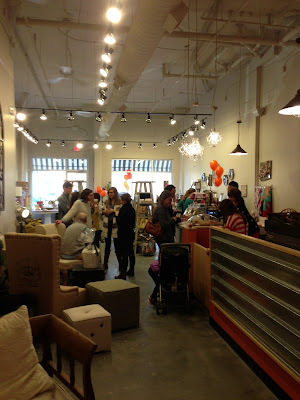 If you’re looking for a cool little spot to grab a good cup of java and hang out for a while, consider visiting Thanks A Latte Coffee and Gift Boutique in Holly Springs. Located in the charming Main Street Square community, this chic family-owned shop brews up locally roasted Larry’s Beans and serves up mochas, cappuccinos, espressos, Chai teas and—of course—lattes. 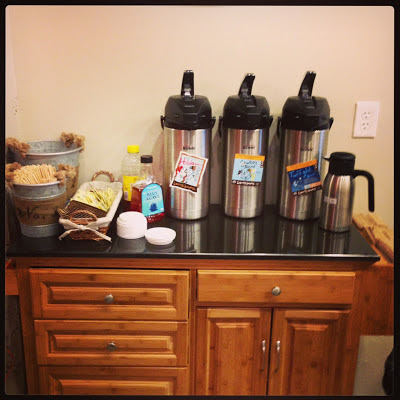 Among the specialty beverages offered include Honey Bee (soy milk, honey and cinnamon); Zebra (white mocha and chocolate); and Fireside (hazelnut, caramel and vanilla). Drip coffee is also available, as is hot chocolate. Locally baked treats are purveyed by nearby Stick Boy Bread Co. 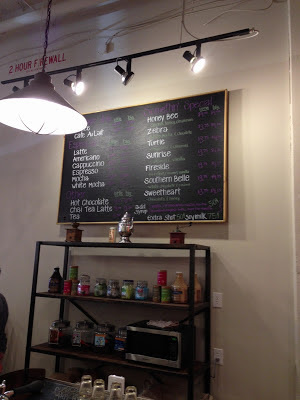 Thanks A Latte is run by delightful proprietor Vicki Harry, whom you’ll rarely see without a smile on her face. On any given afternoon and especially on Saturdays, you’ll find one of her attractive children behind the counter helping out. Patrons are encouraged to relax on cozy furnishings or peruse the trendy wares available throughout the store. When it comes to ambiance, a cement floor, high ceiling with exposed duct work and suspended track lighting make for a relaxed, modish vibe. At the moment, Thanks A Latte is the town’s lone independent coffee shop. Even if or when that changes, it’s hard to imagine a more in vogue place to get your caffeine fix plus a cool gift for someone special.